For the 2018 Jakarta Palembang Asian Games, Korea announced a mixture of old favorites and fresh faces as the Korean LCK pros get set to represent their country. Spring 2018 was another bountiful split of talent across several Korean teams as both SKT and KSV failed to make the finals. As the old guard takes a step back, the new powerhouses in KZ and Afreeca have stepped up as a few of their star players have been included to the roster. The Head Coach selected by the Korean esports strategy committee for the Asian Games was announced with the roster as Choi ‘Edgar’ Woo-beom secured his spot. With the coaching announcement, Edgar also had his input on putting together the star-studded KR roster. 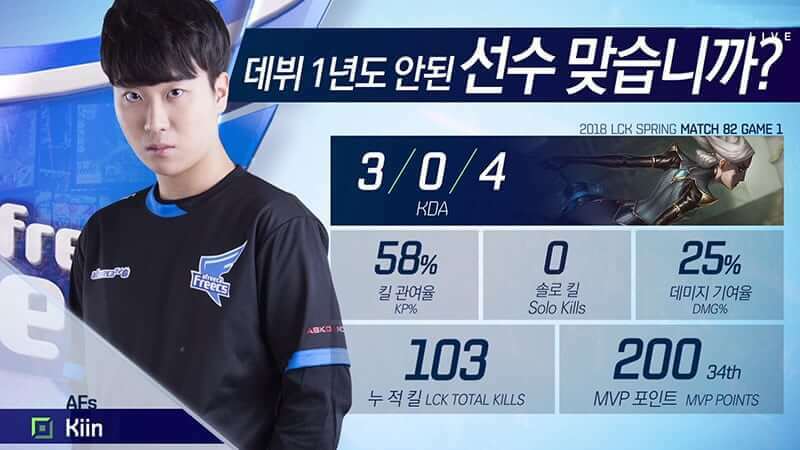 Starting in Top lane for the Korean national team is Kim “Kiin” Gi-In. After impressing last year with the Ever8 Winners, Kiin went onto bluer pastures in Afreeca and his move was rewarded with a top two finish. His performances during the regular season did not go unnoticed by the league as a whole and this addition to the Asian Games roster is a huge accolade to his already impressive rookie campaign. In the jungle, KT Rolster’s Go “Score” Dong-bin and KING-ZONE’s Han “Peanut” Wang-ho will be sharing their time on the rift as both junglers enjoyed dominant spring splits. Score being the elder jungler of the bunch will most likely be stepping in for game two situations the same way he was used on KT Rolster. With Peanut featured on this roster, he will once again link up with his former SKT teammate in an attempt to bring international pride to their region. Even though SKT had a less than stellar Spring Split, leaving Lee “Faker” Sang-hyeok off of the Korean all-star roster would be promotional malpractice. As SKT suffered to get wins on the board early in the split, Faker was the constant beacon of hope as he anchored his team with his ever expanding champion pool and enabled his team into positive performances. Going forward, Faker will look to unlock his true potential and once again instill fear in the hearts of his enemy laner with the cornucopia of talent surrounding him. Rounding out the roster for Korea in the Asian Games were the KSV bot duo of Park “Ruler” Jae-hyuk and Jo “CoreJJ” Yong-in. Even though they didn’t have their best season as a collective this Spring, the synergy between this duo is undeniable and they will make worthwhile replacements in space of the fatigued KING-ZONE bot lane that would have surely taken their place. 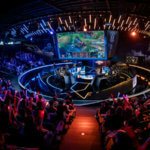 With the preliminary stages of the tournament set to take place in early June, regions from Southeast Asia, South Asia and Central Asia will battle for a qualifying spot that will eventually compete against the Indonesian international team as they secured a spot as the host of the tournament.